February 19, 1967. A Sunday night at the Detroit Masonic Temple. 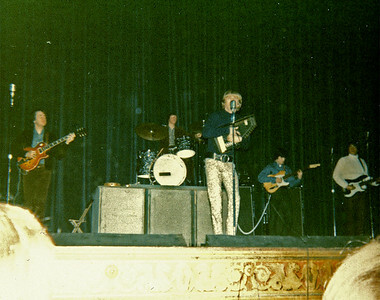 The Electric Prunes opened the show followed by Buffalo Springfield. 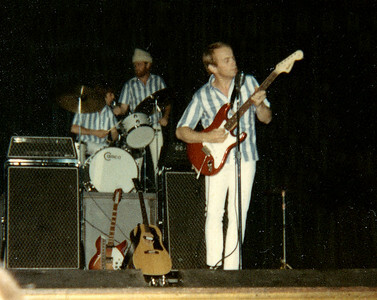 Then came those California surfers, the Beach Boys. 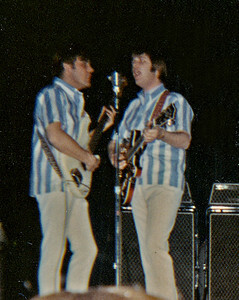 Bruce Johnston and Carl Wilson doing backup vocals. 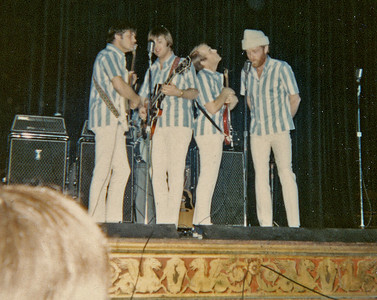 Mike Love was fond of hats - especially when he began to get a little thin on top. 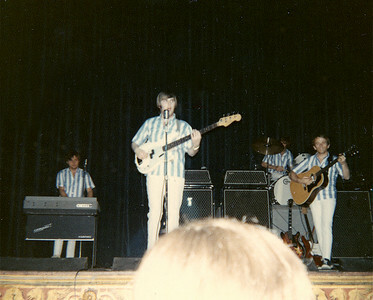 The Beach Boys, sans Brian Wilson, rocking at the Masonic Temple in Detroit. 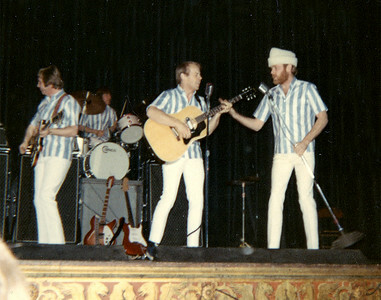 Al Jardine gets a hand from Mike Love. 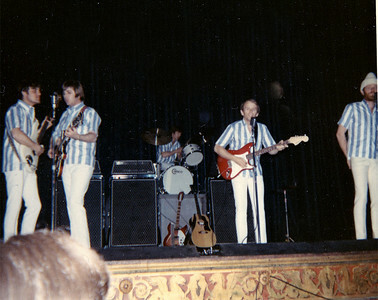 Al Jardine is on lead guitar while Dennis Wilson (on drums) handles the vocals. 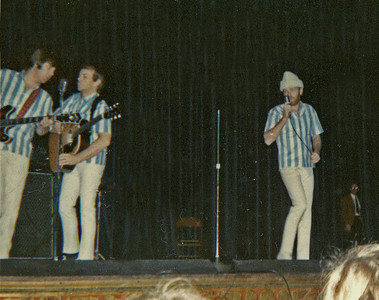 The famous Beach Boys harmonies.